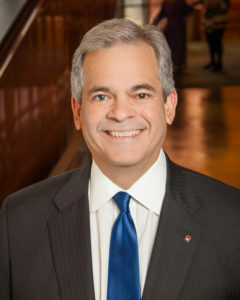 Mayor Steve Adler was sworn into office in January 2015 and has focused primarily on Austin’s growing affordability crisis and worsening traffic. On affordability, Mayor Adler and the Council created a new property tax break for homeowners, increased the senior and disabled property tax exemption, and lowered electric rates for everyone in town. Mayor Adler has also completed the Mayors’ Challenge to End Veteran Homelessness, sponsored the Strategic Housing Blueprint to increase the housing supply for the working poor, and, together with County Judge Sarah Eckhardt, spearheaded the Austin Metro Area Master Community Workforce Plan to lift 10,000 local residents out of poverty and into middle-income jobs over the next five years. And on mobility, Mayor Adler led passage of the $720-million Smart Corridor mobility bond which was more than four times larger than any transportation bond previously approved in Austin and bigger than all the transportation bonds cumulatively passed in the previous 20 years. In August 2016, Mayor Adler was voted by mayors surveyed by POLITICO Magazine as the co-winner of the Rookie of the Year award, and in Jun. 2017, Mayor Adler was elected by his fellow mayors as a Trustee of the United States Conference of Mayors. And in May 2017, the U.S. Conference of Mayors presented Mayor Adler with the Small Business Advocate Award for his dedication to the small business community. 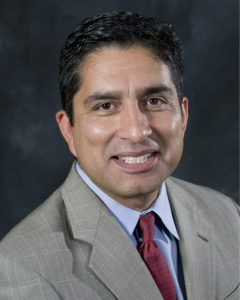 Andres Alcantar has served on the Board of Commissioners for Texas Workforce Commission (TWC) Since 2008. He has served as its chair since 2012.TWC’s mission is to promote and support a workforce system that creates value and offers employers, individuals, and communities the opportunity to achieve and sustain economic prosperity. Chairman Alcantar works to implement customized services to meet the needs of Texas’ vast array of industries and advance the development of a strong and competitive workforce. Alcantar promotes the expansion of industry-based partnerships that center on best practices to help workers and businesses achieve success. He encourages strategies that prepare students for postsecondary success at work or in the classroom, focusing on science, technology, engineering, and math (STEM) initiatives as a key component of future workforce competitiveness. 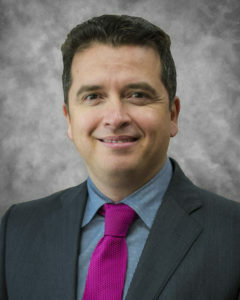 Alcantar holds a bachelor’s and a master’s degree in public administration from Texas Tech University. Ann Baddour is the state director of Texas Appleseed projects aimed at bringing low-income and immigrant consumers into the financial mainstream. Baddour is actively involved in reform of regulations governing payday and auto title lending in Texas. The goal is to build greater consumer protection into these transactions and better small loans for families. She is a member of the Consumer Financial Protection Bureau’s Consumer Advisory Board, serving a four-year term ending in 2018. Baddour’s work in the areas of immigrant financial education and improving consumer disclosure and protection in remittance transactions has been presented at economic conferences in Benin, Africa; Mexico; and the European Union. Ann also oversees Texas Appleseed’s project on protecting the rights of immigrants with mental disabilities in the immigration court and detention system. She is a member of the Consumer Financial Protection Bureau’s Consumer Advisory Board, serving a three-year term ending in 2017. Ann is a Fulbright Scholar with a Master of Public Affairs Degree from the LBJ School of Public Affairs and a Masters Degree in Middle Eastern Studies from The University of Texas at Austin. Jordana Barton supports the Federal Reserve System’s economic growth objectives by promoting community and economic development and fair and impartial access to credit. Her focus areas include the Community Reinvestment Act (CRA), community development finance, digital inclusion, financial education, affordable housing, workforce development, and small business development. Jordana is lead author of “Las Colonias in the 21st Century: Progress Along the Texas-Mexico Border” (2015), and author of “Closing the Digital Divide: A Framework for Meeting CRA Obligations”(2016). More publications are in progress. Barton serves on the Steering Committee for San Antonio’s newly formed Digital Inclusion Alliance and the collective impact project, Digital Opportunity for the Rio Grande Valley (DO4RGV). Prior to working with the Federal Reserve, Barton served as vice president for community development banking at Capital One Bank. In this role, she built community partnerships and managed investments to promote economic revitalization and access to financial services in low- and moderate-income communities. In 2012, she was awarded the FDIC’s Pioneer Award in Community Development, and Capital One was awarded Corporate Philanthropist of the Year in San Antonio by the Association of Fundraising Professionals. Barton grew up in the rural South Texas community of Benavides. She holds an MPA from Harvard University, John F. Kennedy School of Government. C. Kent Conine of Dallas is the president of Conine Residential Group and has served on the TDHCA Governing Board since 1997. He is a board member of the Federal Home Loan Bank of Dallas and Home and Apartment Builders of Metropolitan Dallas. He is also past president of the National Association of Home Builders and Texas Association of Builders. Additionally, Conine volunteers with Big Brothers Big Sisters of Dallas, the Center for Housing Resources, Fellowship of Christian Athletes and the Dallas Symphony Association. He received a bachelor’s degree in finance from Texas Tech University. William Coombes is Vice President of User Experience, for Visa, Inc. In this role he serves as an advocate for the end-users of Visa’s systems, both internal and consumer-facing. With teams in Austin, San Francisco, Miami and New York City, Will is responsible for visual design, usability, design innovation and design engineering for many platforms, including Visa’s newest initiative, Visa Developer. His teams also specialize in expanding access to users with disabilities through involvement with the W3C WCAG initiative, furthering Visa’s mission to bring financial inclusion to all. He is recognized as a thoughtful and insightful leader, capable of bringing together diverse teams through Design Thinking strategies and practical implementation skills. As Site Lead for Visa’s Austin office, he also serves as executive sponsor of Diversity and Inclusion initiatives and is fortunate to serve as a community liaison and outreach partner for GirlStart, Austin Pets Alive, Keep Austin Beautiful, and Capitol Area Food Bank. He is Vice Chair of Talent for the Greater Austin Chamber of Commerce and serves as Development Chair for ZACH Theater’s Board of Directors. Catherine Crago started her career in the semiconductor industry, focused on public private research partnerships aimed at giving the U.S. a global competitive advantage. 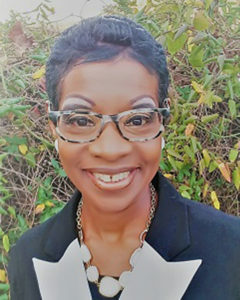 When she started with HACA, Crago played an active role in building the Unlocking the Connection program, a first-of-its-kind initiative to bring Internet connectivity and know how to every public housing authority resident. The program was the inspiration for the White House – HUD initiative called ConnectHome. For more than 10 years, Crago helped state agencies and local governments assess the business case for digital inclusion, to enhance revenue, support emergency preparedness and to promote equity in diverse communities. Crago has presented at the White House and has provided testimony to the Federal Communications Commission on the impact of connectivity in low-income populations. She serves on the Board of Advisors and lectures in the University of Texas M. Sc. In the Human Dimensions of Organizations and serves on the advisory boards of SXSW Interactive Festival and GlobalAustin. Crago is a recipient of the Texas Diversity Council DiversityFIRST award for work in diversity and inclusion. As superintendent of the Austin Independent School District, Dr. Paul Cruz guides the district of nearly 82,000 students and 12,000 employees in realizing the vision to reinvent the urban school experience. Under Dr. Cruz’s leadership, the AISD graduation rate is at an all-time high—outperforming the state and nation—with two-thirds of AISD graduates enrolling directly into college. AISD continues to meet all student performance standards set by the Texas Education Agency, and students are scoring above their peers throughout the state and the nation on the ACT and SAT. AISD also has been named to the Advanced Placement Honor Roll. Dr. Cruz began his career in education in 1987. Having set a personal goal to earn a doctorate before he turned 30 years old, Dr. Cruz received his Ph.D. in educational leadership from the University of Texas at Austin at the age of 29. He received a Bachelor of Science degree in education from UT Austin, with a specialization in English, and a Master of Science degree in educational administration from Corpus Christi State University. 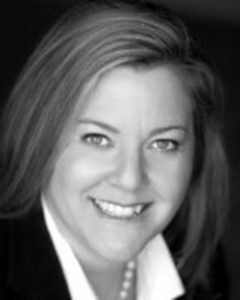 A. Mechele Dickerson is a nationally recognized scholar and a global media expert on consumer debt and homeownership. She is the author of “Homeownership and America’s Financial Underclass: Flawed Premises, Broken Promises, New Prescriptions.” She currently is working on her second book, “The Neglected Middle Class”, which explores income and wealth inequality and the ongoing stressors facing this country’s financially beleaguered middle class. Dickerson has participated in congressional briefings and has testified before a congressional subcommittee on housing unaffordability. She teaches Remedies, Federal Civil Procedure, and a course on the middle class. Professor Dickerson is an elected member of the American Law Institute. Formerly a fourth-grade teacher Christina Dunigan now studies education policy and its intersection with social and economic issues. Christina is part of a team of graduate students working on a research project, directed by Professor Sherri Greenberg, focusing on the links between housing, and social and economic mobility in Austin. The Housing Authority of the City of Austin and HousingWorks commissioned the research. The research project team will publish a report this May, including best practices for affordable housing that facilitates social and economic mobility via digital inclusion, education, healthcare, and transportation. 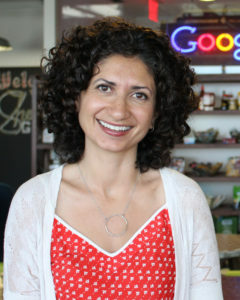 Parisa Fatehi-Weeks – Head of Community Impact Strategy, Google Fiber, Alphabet, Inc.
Parisa Fatehi-Weeks provides Google with strategic leadership of community impact efforts across Google Fiber cities and oversees national partnerships. A key area of focus is partnering with local leaders to advance digital inclusion and equity. In Austin, she partnered with HACA, Austin Free-Net, and others to help launch programs like Unlocking the Connection to connect public housing residents to in-home internet, digital literacy education, and refurbished devices. Parisa previously served as staff attorney at Public Advocates, a nonprofit civil rights law firm in San Francisco, where she advocated for access to affordable housing and transit for low-income communities and communities of color. Prior to that, she served as a law clerk to a federal judge and as a Management Fellow in the Austin City Manager’s Office. 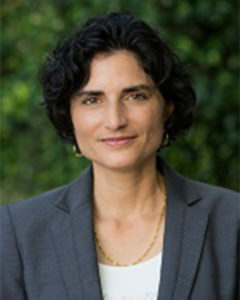 Fatehi-Weeks also worked on greenhouse gas emission reduction programs at the U.S. Environmental Protection Agency in Washington, D.C. She currently serves on the Board of nonprofit Proyecto Defensa Laboral (Workers Defense Project) and the University of Texas’ Advisory Council for the Texas Union. 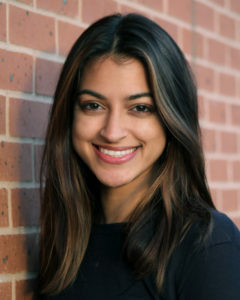 She is a graduate of UT-Austin, where she was student body president and received her B.A., J.D. and Master’s in public affairs. Mike Geeslin’s experience includes more than 20 years of legislative, executive branch and association leadership roles. Throughout his career, he has developed a deep understanding of fiscal management and budgeting, with the ability to control costs and invest in strategic initiatives for the good of the organization. 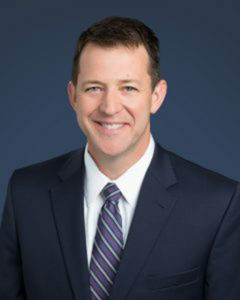 Prior to his appointment at Central Health in 2017, Mike served as Executive Director for the Texas Dental Association in Austin. There he provided management and administrative services for affiliated for-profit and charity subsidiaries, each governed by a separate board of directors. 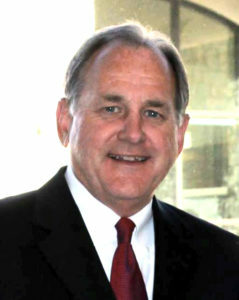 From 2005 – 2011, Mike served as the Commissioner of Insurance for the Texas Department of Insurance. During his tenure, the Department implemented the early provisions of the Federal Affordable Care Act in Texas and new regulatory initiatives. Mike helped in the creation of Healthy Texas, a small employer health program helping the uninsured. Mike also served on the board of Sendero Health Plans, in partnership with Central Health. His roles demonstrate his knowledge and ability to provide strong business outcomes, effective communications with public stakeholders and provide greater access to care. Geeslin holds a Bachelor of Arts in speech communications from Texas A&M University. Michael Gerber directs the operations of Austin’s high performing public housing authority which daily serves more than 19,000 Central Texans. In addition to operating and providing services for 18 public housing properties, HACA manages the Housing Choice Voucher (Section 8) program and other rental assistance programs which provide help for nearly 6,000 units of housing in Austin’s private rental market. Gerber also directs three HACA subsidiaries: the Austin Affordable Housing Corporation, which owns and develops affordable housing options for low-income residents; Southwest Housing Compliance Corporation, which serves as a Project Based Contract Administrator in Texas and Arkansas for the U.S. Department of Housing and Urban Development; and, Blueprint Housing Solutions, a consulting firm that assists public and private sector clients to deliver exceptional affordable housing and community development programs. In previous years, Gerber served as Executive Director of the Texas Department of Housing and Community Affairs (TDHCA) and served as an advisor to Texas Governor Rick Perry in the Governor’s Office of Budget, Policy and Planning. Mike also served in the administration of President George W. Bush at the U.S. Department of Housing and Urban Development – first as senior advisor to the Assistant Secretary for Public and Indian Housing, and later as senior advisor to the Assistant Secretary for Policy Development and Research. Prior to that, Gerber served as a Legislative Advisor to U.S. Senator Kay Bailey Hutchison (R-Texas) and as a Special Assistant for State Projects to U.S. Senator Phil Gramm (R-Texas). Along with HousingWorks Austin, Gerber serves on the Board of Governors of the National Association of Housing and Redevelopment Officials (NAHRO) and the Affordable Housing Advisory Council of the Federal Home Loan Bank of Dallas. 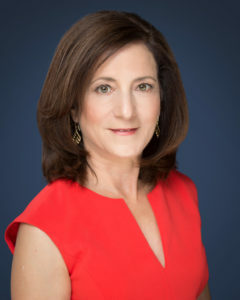 Along with her work as a UT Professor, Sherri R. Greenberg is a Vice- Chairperson of the Board of Managers of Central Health, a Member of the City of Austin Regional Affordability Committee, and a Member of the UT Opportunity Forum Steering Committee. Also, she serves on the Texas.Gov Steering Committee, the Austin CityUp Board of Directors, the Austin Forum on Technology & Society Advisory Board, and the City of Austin General Obligation Housing Bond Review Committee. Additionally, she has served as a Senior Advisor to Austin Mayor Steve Adler. 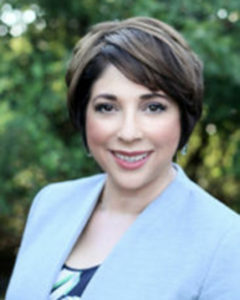 Greenberg was a Texas State Representative from 1991 to 2001, and she chaired the House Pensions and Investments Committee and the Select Committee on Teacher Health Insurance. She also served on the House Appropriations, Economic Development, Elections, and Science and Technology Committees. 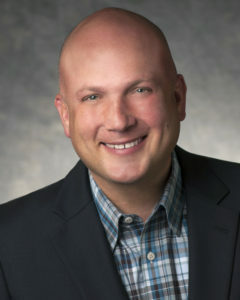 Previously, Greenberg was the City of Austin Capital Finance Manager, and a Public Finance Officer at Standard & Poor’s. Greenberg holds an MSc in Public Administration and Policy from the London School of Economics. Her teaching and research interests include: technology and innovation, urban and state issues, public engagement, housing, transportation, healthcare, public finance, and campaigns and elections. She has authored several publications on these topics. At the Center for Public Policy Priorities, Garrett Groves leads a team of policy analysts that strive to increase educational attainment and ensure economic prosperity for all Texans. Groves is also a scholar in residence at the Federal Reserve Bank of Dallas where he is studying promising workforce practices and consumer credit conditions in Texas. Before joining the Center in 2014, Groves served as a Senior Policy Analyst at the National Governors Association where he worked with state and local entities on workforce, post-secondary education and economic development policy. He has served governors, senior policy advisors and local leaders on several initiatives designed to bolster talent development pipelines and align educational institutions, training programs and community-based organizations with employer needs and state economic development strategies. 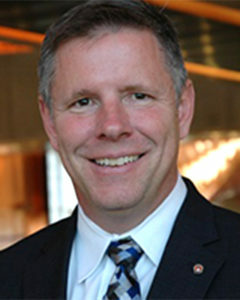 Preceding his work at the NGA Center, Groves oversaw the rigorous evaluation of education and training programs in the Office of Policy Development and Research at the U.S. Department of Labor, including random assignment evaluations of the YouthBuild program, Community-Based Job Training Grants and the ARRA High Growth and Emerging Industries grantees. He also served at various levels of Colorado state government, including the Governor’s Office of Economic Development, the Joint Budget Committee of the General Assembly, and the Office of the Lieutenant Governor. He received his master’s degree in public affairs from the LBJ School of Public Affairs at the University of Texas, and his bachelor’s degree from the University of Denver. Dina Lehmann-Kim – ConnectHome Community Coordinator and ROSS Program Coordinator, U.S. Department of Housing and Urban Development, Washington D.C.
Dina Lehmann-Kim came to HUD in 1998 as Presidential Management Intern to work on the Multifamily Housing Neighborhood Networks (NN) program. Established in 1995, the NN program was one of the first federally-sponsored digital inclusion programs. In 2002, Dina moved from Multifamily Housing to Public Housing where she wrote the Notices of Funding Availability for the public housing NN grant program, Family Self-Sufficiency, and the Resident Opportunity and Self-Sufficiency (ROSS) grant programs. After congressional appropriations ended for the public housing NN program, Dina continued to support the program by obtaining resources for technical assistance resources. 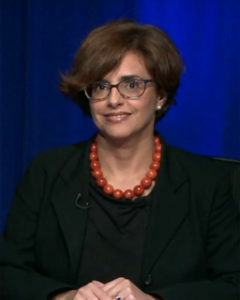 Later, she spearheaded the formation of a partnership with the nonprofit EveryoneOn – a key partner in HUD’s new digital inclusion program, ConnectHome. Currently, she is the Community Coordinator for ConnectHome and Program Coordinator for ROSS which provides grant funding for service coordinator positions to PHAs, tribes, Tribally-Designated Housing Entities, resident associations, and nonprofits. Dina has a Master’s in International Development from American University and a B.A. in French from Wellesley College. She lives in Arlington, VA with her husband and twelve-year old daughter. 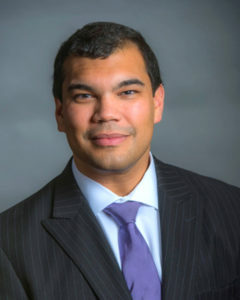 Roy C. Lopez leads the Dallas Fed’s community development function, promoting economic growth and financial stability for low- and moderate-income communities through resources and innovative ideas that connect them to opportunities in the mainstream economy. Lopez returned to the Dallas Fed after working as a community development banker for Capital One Bank. He managed the bank’s external relationships, community development philanthropy and high-impact Community Reinvestment Act programs in the Dallas–Fort Worth market. He originally joined the Dallas Fed in 2005 in the Community Development Department. His responsibilities included strategic planning, management and implementation of outreach programs across the Eleventh Federal Reserve District. Lopez serves on several nonprofit boards, including the Center for Nonprofit Management, Fair Park Foundation, RAISE Texas and Navicore Solutions. He is a 2015 Presidential Leadership Scholar, a leadership development initiative in conjunction with the presidential centers of George W. Bush and William J. Clinton. He is also a member of the University of Texas at Arlington’s Financial Capability Board and the UTA president’s Hispanic Advisory Council. He is a graduate of Texas A&M University and has a master’s degree from Trinity University in San Antonio. Joyce McDonald has successfully led the transition of Frameworks CDC from an organization providing homebuyer education and counseling for first time homebuyers and foreclosure prevention counseling to a comprehensive community development corporation, acquiring and rehabilitating distressed houses to create Affordable Housing and Nonprofit Real Estate Brokerage services. Under her direction, Frameworks has helped more than 11,000 families. McDonald has overseen over $6 million dollars of acquisition and redevelopment activity, including single family and multifamily transactions. That has resulted in over 60 single-family projects and an affordable rental portfolio for Frameworks of 25 units. McDonald also helped the City of Austin start a community land trust to provide affordable housing in East Austin, which has provided 15 permanently affordable homes to low income households. In 2016, Frameworks CDC embarked on its first ever low income housing tax credit development for seniors in partnership with a for-profit developer which will result in 244 units of senior housing with 50% dedicated to low and very low income households. In 2018, Frameworks CDC will also be the co-developer of its second low income housing tax credit development project for affordable senior housing, which will result in 146 units of senior housing with 80% dedicated to low and very low-income households. Rolf Pendall – Co-Director, Metropolitan Housing and Communities Policy Center, Urban Institute, Washington, D.C.
Rolf Pendall is an Institute Fellow in the Urban Institute’s Metropolitan Housing & Communities Policy Center (Metro). 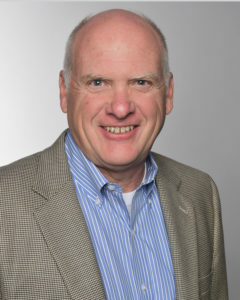 He has over 25 years’ experience as a practitioner, scholar, and educator on a broad array of urban growth and development issues, including land-use planning and regulation; federal, state, and local affordable housing policy and programs; metropolitan growth patterns; and racial residential segregation and the concentration of poverty. 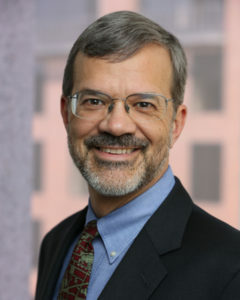 Pendall arrived at the Urban Institute in 2010 to serve as Metro’s center director after 12 years as a professor in the Department of City and Regional Planning at Cornell University. He holds a Ph.D. in City and Regional Planning from the University of California at Berkeley and an M.A. in Latin American Studies and an M.S. in Community and Regional Planning from the University of Texas at Austin. At Austin Community College, Richard Rhodes oversees a thriving institution that transforms lives and enriches communities. 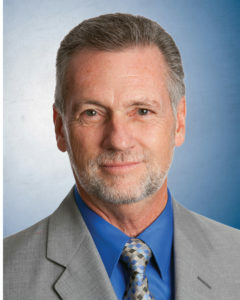 After serving as president of El Paso Community College for 10 years, Rhodes joined ACC in 2011. He made a commitment to close education gaps and accelerate achievement among all students. Under his guidance, ACC earned Achieving the Dream Leader College status. Success initiatives led by Rhodes include an innovative redesign of developmental math curriculum, including the successful implementation of MATD 0421 Developmental Mathematics, and the opening of the nation’s largest computerized learning lab. During Rhodes’ tenure, the college has established new campuses in the City of Elgin, Hays County, and the refurbished Highland Mall in central Austin. Bond packages approved in 2014 will allow continued revitalization of ACC Highland and expanded career-technical training facilities. By partnering with business and industry, universities, school districts, lawmakers, and nonprofit organizations, Rhodes ensures that ACC is an integral resource for the region. A native of Alamogordo, New Mexico, Rhodes received his Bachelor of Business Administration in Accounting and Master of Arts in Educational Management and Development from New Mexico State University. He earned his doctorate through the Community College Leadership Program (CCLP) at the University of Texas at Austin. 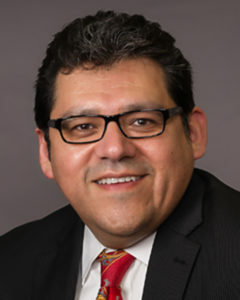 As Chief Advocacy Officer for Ascension Texas, which is comprised of Seton Healthcare Family in Austin and Providence Healthcare Network in Waco, Geronimo Rodriguez works to expand and institutionalize diversity, inclusion, cultural competence, federal contract compliance, workforce development and civic engagement across the healthcare system. Rodriguez was appointed to the AISD Board of Trustees in June 2017 to represent District 6. 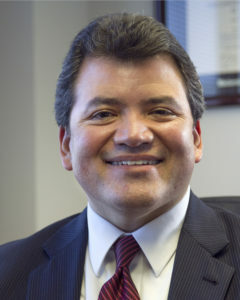 He has served on several local and national boards, including the National Parent Teacher Association, AISD Bond Advisory Committees, Leadership Austin and the Greater Austin Hispanic Chamber of Commerce. Rodriguez has also worked as an adjunct professor at UT’s LBJ School of Public Affairs and at St. Edward’s University. He served in the White House Offices of Congressional Affairs and Presidential Personnel. Growing up, Geronimo was a farm worker with his parents and attended high school in the evenings. 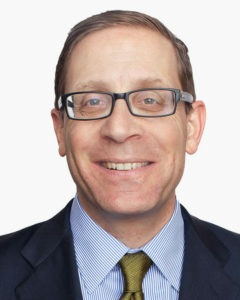 Evan Smith co-founded The Texas Tribune, a pioneering nonprofit, nonpartisan digital news organization whose deep coverage of Texas politics and public policy can be found at its website, texastribune.org, in newspapers and on TV and radio stations across the state, and in the print and online editions of the Washington Post. Since its launch in 2009, the Tribune has won international acclaim and numerous honors, including a Peabody Award, thirteen national Edward R. Murrow Awards from the Radio Television Digital News Association and three general excellence awards from the Online News Association. Evan is also the host of “Overheard with Evan Smith,” a weekly half-hour interview program that airs on PBS stations around the country. Previously, Smith spent nearly 18 years at Texas Monthly, including eight years as the magazine’s editor and a year as its president and editor in chief. From 2003 to 2010, he hosted a weekly interview program, “Texas Monthly Talks” that aired on every PBS station and some public radio stations across Texas. 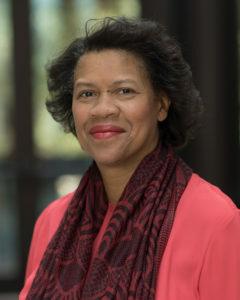 Born in New York, Smith has a bachelor’s degree in public policy from Hamilton College and a master’s degree in journalism from the Medill School of Journalism at Northwestern University. Erik Soliván – Executive Director, Mayor’s Office of H.O.P.E., Denver, CO.
As the first Executive Director of the Denver Mayor’s Office of Housing and Opportunities for People Everywhere (HOPE), Erik Soliván is leading the City’s strategy to leverage public and private partner programs and resources to provide: Jobs through workforce training to help families and people grow their wages and begin to save for their future; Health services, including mental health, addiction and supportive services, to help people rise to meet their full potential; and Housing that is affordable across income categories to ensure families and individuals take root in Denver. 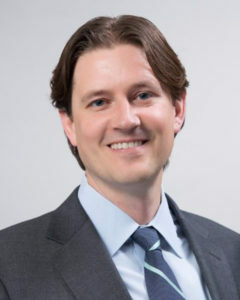 Prior to taking the lead at the Office of HOPE, Erik was the Senior Vice President at The Philadelphia Housing Authority overseeing the Office of Policy and Planning. He also previously served as the President of a non-profit affiliate of PHA, PhillySEED Incorporated, and was a special assistant to the Deputy Secretary in the Pennsylvania Department of Community and Economic Development. Erik also worked for private sector firms focused on improving access to housing and community revitalization. 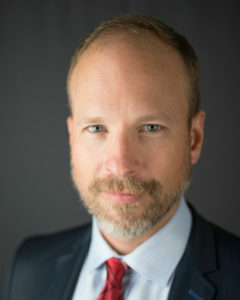 As the lead mobility professional for the City of Austin, Robert Spillar is responsible for the City’s multi-modal transportation portfolio and SMART City mobility programs. Under Robert’s leadership, ATD has modernized its signal systems and intelligent transport technologies, allowing for adaptive and responsive signal control and advanced signal management from a state-of-the-art transportation management center. Robert championed the replacement of the City’s parking management system and sponsored a pedestrian and vehicle way-finding system. ATDs open data policy has allowed for the launch of ParkME, a predictive model that provides parking availability information to drivers through a smart phone application. Robert is responsible for overseeing Austin’s bicycle network, playing host to one of North America’s most productive bike rental programs. He enabled the North American launch of Car2Go, an innovative car-share program by Daimler. He oversees the Austin Vision Zero program to reduce traffic fatalities. Prior to Austin, Robert served as Vice President of Parsons Brinckerhoff where he worked on large freeway and transit infrastructure projects. He also served the City of Seattle as Director of Traffic Management. Robert holds a Bachelor and Master’s of Civil Engineering from the Universities of Texas and Washington. David Steinwedell is the first CEO of Affordable Central Texas (ACT) in Austin, TX, which is the sponsor of the Austin Housing Conservancy. ACH is a private equity open-ended fund focused on preserving existing workforce multifamily communities across Austin. Success of the Fund is measured by stabilizing housing for teachers, nurses, musicians and other key middle-income positions that make Austin special while providing low risk returns to investors. Targeted investors include high net worth, family office, foundations and social impact funds. Steinwedell is a 34-year veteran of the commercial real estate industry and has worked in a variety of disciplines including public and private investment management, acquisitions, debt, capital markets, investment banking and asset management. He started Stoneforge Advisors in 2010 to leverage his varied real estate interests and expertise. Over his career, David has completed over $14 billion in transactions across all property types and as part of private equity funds, REITs and other investment vehicles.